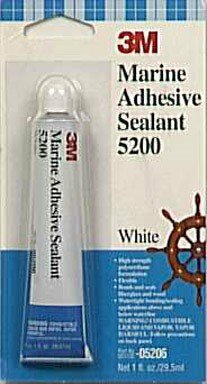 3M(TM) Marine Adhesive Sealant 5200 is extremely strong and retains its strength above or below water line. Stays flexible too - allows for structural movement. Has excellent resistance to weathering and salt water.